To receive the newsletter via email, please Join Our Mailing List. It's happening! AHS is starting its design and roll out of a new electronic record system called Connect Care. When finished, all of AHS medical records will be centralized into one clinical information system (currently there are 1300 systems!). Implementation at ACH is expected to happen in 2020. One of the biggest pieces that will positively impact patients and families will be the introduction of a "Patient Portal" which will allow patients access to their healthcare record, health information, and new scheduling and communication options. Patients and Family Advisors are being engaged throughout the process. Sarah Fletcher, a youth from CAYAC, has been involved since the evaluation stage where she was part of the team selecting the vendor to provide the electronic system. She currently sits on the governance council as a patient advisor and she is a member of the newly formed Connect Care Patient and Family Advisory Group. "The Connect Care project has been amazing at fully supporting and including patient and family advisors throughout the project, at various levels and roles within the project," comments Sarah. Advisors, including some from our site, are joining staff members from across the Province at the Direction Setting and Validation Sessions. CAYAC member, Jessica Havens, participated in the first session in February. "I love that I was treated as a subject expert. I was able to speak up about a number of youth related impacts such as access of mature minors to their records," says Jessica. Please email us if you want to find out more about being an advisor on this exciting project! To learn more about Connect Care. We are pleased to welcome Jennifer Schroeder, our new Transition Navigator, to ACH. Jennifer is part of a three year research project headed by Dr. Susan Samuel, Nephrology, that will study if a one to one Navigator assigned to patients transitioning from paediatric to adult healthcare will have an impact on their transition and their overall health. The research study will choose 300 participants in Calgary and Southern Alberta. Another 300 participants will be chosen for Edmonton and area. Schroeder will work with 150 participants (randomly chosen, ages 16-21) and their families for two years helping them navigate through the transition based on their individual healthcare and psychosocial needs. "Our goal is that patients feel connected and accepted in the adult world. Expectations are very different in adult healthcare and our youth transitioning need to be aware and be able to navigate through that transition well," states Schroeder. Shroeder has worked for AHS in a number of different roles. She holds a Master's in Social Work and came to ACH from the Emergency Department and Intensive Care Unit at the Rockyview Hospital where she worked for 7+ years. She has also worked at Foothills Hospital and the Peter Lougheed Hospital. We are also looking for family members with inpatient experience at ACH to become Family Bedside Connection Volunteers. These volunteers provide information and support to newly admitted families. Commitment is to do a 2-3 hour shift on a unit, twice a month. 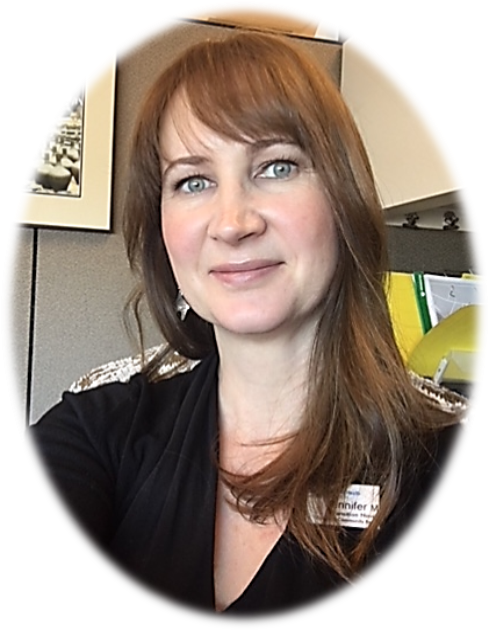 Ashley Jones is an active ACH Family Advisor who presently sits on the Calgary Zone Neonatal Quality Assurance Council. 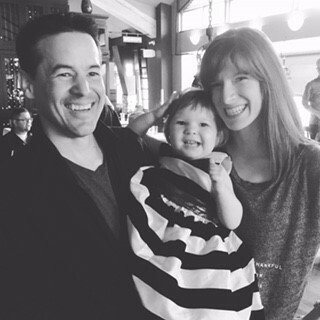 Her personal experiences in the NICU with her daughter and her belief that the family voice can help shape healthcare decisions make her a welcome addition to the Neonatal Quality Assurance Council. "I joined the Council to support families and healthcare teams as well. For people to know that the hard questions are being asked to the medical staff and that family concerns are brought forward," states Jones. "I believe that our insights can help healthcare teams focus their attention in more meaningful ways for their patients and families. Sometimes it's hard to see that small, and maybe even what appears to be insignificant, details are so crucial to parents." AIDET is a useful acronym developed by the Studer Group for Healthcare Professionals. 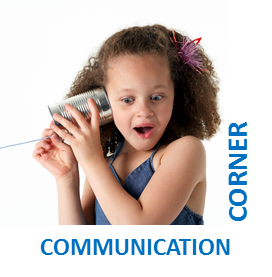 This communication framework reminds healthcare professionals to include key patient communication elements in every patient/customer interaction. Acknowledge: greet by name, acknowledge accompanying others, and use eye contact. Introduce: remember to use NOD - say who you are (name), your role (occupation), and why you are there (duty). Duration: keep in touch about wait times, give accurate time expectations, and apologize for delays. Explain: give step-by-step explanations, ask for and respond to questions. Thank: express gratitude to the patient and family. Two AHS procedures have been carefully re-designed to provide direction and insight. Learn how leaders ensure a fair and consistent response to adverse events and how leaders can ensure that immediate and ongoing needs of patients, family and staff are addressed. Caring for Children and Youth with Medical Complexity: Can We Do Better? The CAPHC Complex Care Community of Practice (CoP) has developed a Guideline for the Management of Children and Youth with Medical Complexity through the Continuum of Care. This includes six recommendations focused on Identification, Capacity building, Keyworkers, Care Planning, Family Empowerment, and Healthcare Transitions. Sexual Harassment in Hollywood: What Can Healthcare Learn? AHS continues to build a workplace where we feel safe, healthy and included. Carla Kettner will share her perspective as a writer and producer with 25 years of experience in the TV and movie industry. Join us to see what we can learn from Hollywood's experience. Attend by telehealth or join by audio. Attend this webinar to learn how AHS Improvement Way methodology was used to improve care for infants admitted to the Neonatal Intensive Care Unity (NICU) at Stollery Children's Hospital. I Received a New Patient Safety Learning Summary -- Now What? Patient Safety Learning Summaries (PSLS) allow for recommendations for improvement by providing a linkage between reporting, managing and analyzing clinically serious adverse events. Learn about what you should do once you receive a PSLS. Your PFCC contributing writers: Juliana Harris, PFCC Liaison; Kim McLelland, PFCC Liaison; Marie McNaughton, Family and Youth Engagement Coordinator.